Grad rates: The best measure of a school? Every parent wants their child to receive a well-rounded education, develop the social and emotional skills required to survive and thrive in the “real world,” and learn how to think on their feet. But above all, parents want their children to graduate, attend college, and earn a fulfilling career. This is one big reason why graduation rates rate so heavily in school accountability under the Every Student Succeeds Act. It’s also why U.S. News and World Report increased the weight of graduation rates on its latest list of America’s top public high schools. 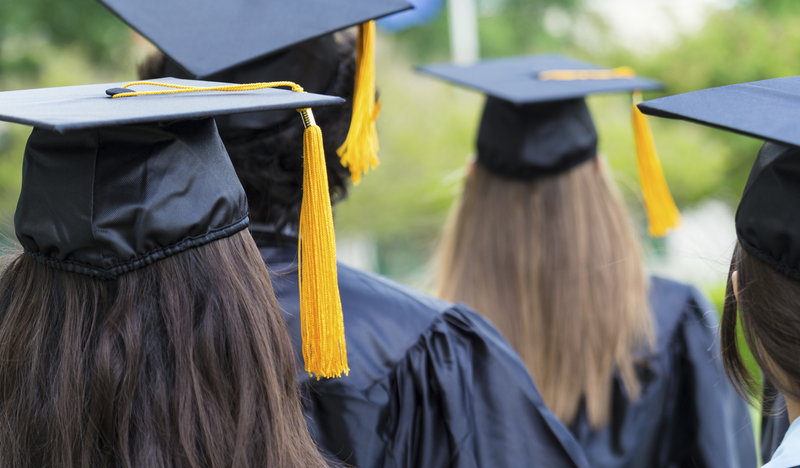 But are graduation rates the best measure of a school’s performance? And, if they are, what can schools with high graduation rates teach us about our own efforts at reform? A recipe for more grads? U.S. News sets the bar here: “The 6,218 high schools to receive national recognition from U.S. News graduate their students at rates that are 15 percent higher, on average, than other schools across the country,” according to its report. When you look specifically at the top-10 schools on that list, the numbers stand out—none have a graduation rate lower than 96 percent. Most are at or near 100 percent. But if you were hoping for a silver-bullet solution to your own graduation issues, you’ll likely need to keep looking. Of the top 20 schools on the U.S. News list, only one had an economically disadvantaged student population higher than 50 percent. That’s a little disheartening considering that about half of students who go to school in this country do so on a free-and-reduced price lunch program. What’s more, several of the schools on this year’s list were magnet schools, which means they serve students outside of their district. This isn’t to knock the work that these schools are doing. The results are impressive. But for schools that regularly deal with high poverty and a decreasing market share, their success, practically speaking, doesn’t necessarily translate. It should be noted that not everyone agrees with the notion of using graduation rates to gauge school performance. Last year, when the national graduation rate hit 81 percent, its highest point in history (it’s since increased to 82 percent), some experts attributed the increase to a change in how the rate was calculated, not a change in performance. Writing for NPR ED, education reporter Anya Kamenetz asserts that increased graduation rates can be attributed to a few factors, some legitimate, others not so. Kamenetz says clever states have found ways to cut underachieving students out of the graduation calculation, creating a false sense of progress. Kamenetz found that schools increasingly identify alternative education options for faltering students before they drop out. While many experts applaud schools for giving students a second chance at success, others see this approach as diluting the prestige of the traditional high school diploma. Kamenetz suggests that early interventions keep students in school. For those in danger of failure, she writes that engaging students early and often and monitoring their “attendance, behavior, and course performance” is key. Providing services outside the traditional scope of school—through community partnerships, for example—often keeps drop-out rates from ticking higher. The schools on this year’s list have much to be proud of. Their successes are worth a look. But in the end, it comes down to what works for your community and the circumstances it finds itself in. And that’s a conversation that goes far deeper than your annual ranking in a magazine. How do you engage your school community about ideas for success and improvement? Tell us in the comments. Want to include your community in critical decisions about your district’s future? Start by asking for feedback. Be the first to comment on "Grad rates: The best measure of a school?"